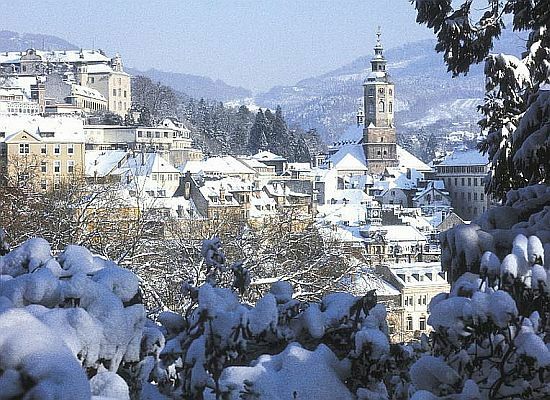 Deep in the Black Forest of Germany you'll find one of its most historical and beautiful cities - the spa resort town of Baden-Baden. It's this city that Jaeger & Benzinger watches calls home. This German brand is the brainchild of Kay Jaeger, who has spent much of his adult life investigating, nurturing and promoting German hand-made craftsmanship. Kay is the founder of Manufakturmesse, an annual event which exhibits the finest hand-made German products. But his real love is watches, and that's where his friend Jochen Benzinger enters the picture. Together, Kay Jaeger and Jochen Benzinger search for the finest materials and parts to create Jaeger & Benzinger watches missing no detail. Even the packaging is made by hand. The dials are made by hand, and employ traditional Breguet frosting rarely found on modern timepieces. Flame blued screws, perlage of the main plate as well as the hand-wound movement's guilloche three-quarter plate complete the design. Add a special watch to your collection - welcome to Jaeger & Benzinger. To see our collection of Jaeger & Benzinger watches please click here.